The first thing you see is a giant cave mouth just inside the doors, welcoming you into the space. Without a way inside (it is forbidden to touch any piece of the exhibit) the gallery goer must walk around its bulky steel frame. 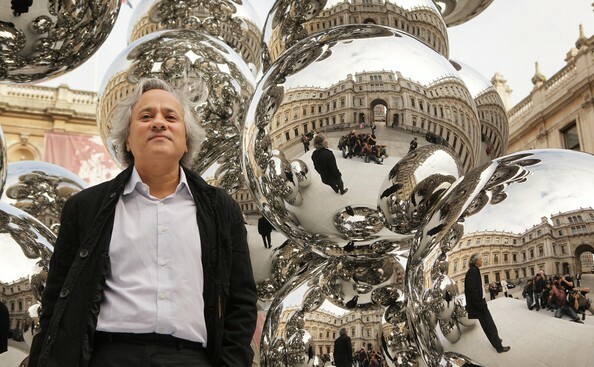 Anish Kapoor revels in creating engaging objects, yet is unwilling to relinquish his privileged position in order to explore what is the most interesting aspect of his work – the responses it provokes. I’m sure I wasn’t the only one who wanted to touch the polished leviathan. The show, a survey of the Turner Prize winner’s career, consists of several large-scale installations that play with form, colour, and space. It is packed with accessible art – young, old, friends and strangers were all sharing opinions and reflections on the works. It was downright noisy in there. Especially every twenty minutes, when a cannon fires twenty pound cylinders of red wax into a corner of the hall. This piece, Shooting into the Corner, is the highlight of the exhibition – any artwork that can ensnare me in a build up so dramatic, with a release so satisfying, gets my approval. Judging by the delight on the faces of the other spectators, I’m not alone. Another popular piece was the multiple cement mounds haphazardly arranged in one gallery. They looked like tangles of yarn or massive poop-coils. Despite the ponderous title (Greyman Cries, Shaman Dies, Billowing Smoke, Beauty Evoked), it was much loved by the kids. 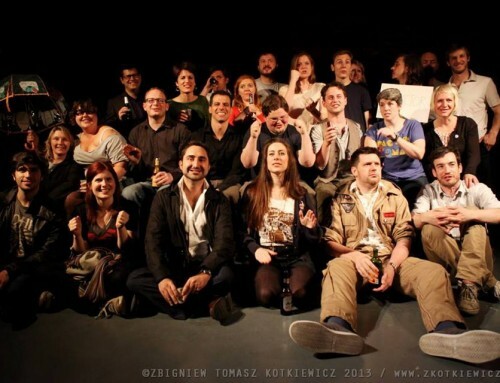 However, the gallery does its best to push back against the accessibility. The didactic material, handed out to visitors with every ticket, is more self-parody than informational. Kapoor’s own pseudo-revelatory pontifications are quoted extensively; of Pigment Works he says, ‘Pigment is stuff and yet is seems to have no physical substance. It is both present and not present.’ It’s like he just smoked pot for the first time. RA seems to be trying to match his artsiness. In describing the big red wax train that inches through the five galleries at the rear of the exhibit, smearing and pooling wax as it goes, the material says, ‘Svayambh might be said to have the status of a manifesto in Kapoor’s oeuvre’. Maybe so, but more importantly, it looks like a massive lump of cranberry jelly. And it moves! By splattering the gallery walls with red wax and installing a giant cave mouth at the entrance, Kapoor has challenged the relationship of his work to the gallery space. The logical progression would be for him to challenge the relationship between his art and spectator – when using materials such as cement and shipyard steel at least. Those piles of cement were crapped out by a 3D printer, so who’s to say they would be any less ‘art’ if people touched them? The show is great fun, but Kapoor’s ego prevents it from reaching its full potential.